Draft: 2010, Toronto Blue Jays, 1st rd. William Deck McGuire ... Attended Deep Run High School in Glen Allen, Virginia ... Played baseball in high school and lettered four years in football as starting quarterback...Established school records for strikeouts in a game (17), strikeouts in a season (129) and strikeouts in a career (320) ... Pitched three seasons at Georgia Tech where he went 28-7 with 306 strikeouts over 291 innings...Was a Collegiate Baseball first-team Freshman All-American in 2008, first-team All-American in 2009 and third-team All-American in 2010...As a junior, led the ACC in innings pitched (112.1) and strikeouts (118) ... Originally selected by the Blue Jays in the 1st round (11th overall) of the 2010 First-Year Player Draft, the 2nd pitcher (Kevin Brown) and 9th player in Georgia Tech history to be drafted in the 1st round. Played the entire season with Double-A Pensacola where he went 9-9 with a 2.79 ERA (168.0 IP, .208 AVG, 57BB/170K) ... Posted a 1.41 ERA in July, the best of any AA pitcher that month...Was named a Southern League Mid-Season All-Star ... Finished the year with the league lead in opp. avg., and WHIP (1.08) while ranking 3rd in ERA ... Allowed 10.06 baserunners per nine innings (2nd fewest among Southern League starters) and recorded 8.89 K/9 (3rd best in the SL) ... Started Game 1 of the SL's Southern Division Championship and earned a 2-0 win vs. Jacksonville...Became Pensacola's 1st pitcher ever to record 8.0 shutout innings with no walks and at least 13 strikeouts ... Was promoted to the Reds on Sept. 12 and made his MLB debut that night in St. Louis (1.2 IP, 1H, 1K)...Came into the game in the 7th inning with the bases loaded and one out...Induced a double play from the 1st batter he faced (Harrison Bader) and then pitched a scoreless 8th inning, which included his 1st career strikeout (Greg Garcia) ... After four scoreless relief appearances (5.2 IP, 0BB, 4K), joined Cincinnati's starting rotation ... In his 1st start on Sept. 26 at MIL, lasted just three innings while allowing six hits and six runs (4ER, HR, 2BB, 5K) ... Earned his 1st career win on Oct. 1 at CHC, hurling 5.0 shutout innings while striking out two batters and allowing just two hits. Made 26 starts for Triple-A Memphis in 2016 (7-11, 5.10 ERA), including his 1st professional shutout in his final start on Sept. 24 at Round Rock as he threw 5.0 innings (2H, 4K) in a rained-out contest. Split 2015 between between Double-A Tulsa and Triple-A Oklahoma City, going 9-6 over 30 games (18 starts) with a 3.69 ERA. Started 2014 in Double-A and after 10 games with a 2.98 ERA was promoted to Triple-A Buffalo...Went 3-5 with a 5.56 ERA before his trade to the Athletics...Went 2-4 with an 8.05 ERA in seven games for Triple-A Sacramento. Marked his 3rd season in New Hampshire and 2nd full season. Pitched 157.1 innings this season for New Hampshire, posting a 4.86 ERA, 1.32 WHIP, and a team-high 143 strikeouts. The 157.1 innings ranked 2nd behind teammate Marcus Walden in the Eastern League and also marked a career-high. In his final month posted a 4-1 record in August with a 2.95 ERA, 35 strikeouts and a .150 opponents' average in 39.2 IP... Finished the season with four quality starts in five outings. Posted a 6.09 ERA in home games and a 3.93 ERA on the road. LH hitters were held to a .215 average. Spent all of 2012 with New Hampshire (AA). Led all Fishercats in starts (28), innings (144.0) and losses (15). Was 1-7 with a 6.38 ERA in home games and 4-8 with a 5.56 ERA on the road. Struggled with a 9.22 ERA in first innings of games. In his first professional season, spent the majority of 2011 at Dunedin (High-A) before a late season promotion to New Hampshire (AA) concluded his season... A NICE DEBUT: Made his professional debut in relief, tossing four scoreless innings on April 7 vs. Clearwater... Picked up his first win on April 18 with 5.2 scoreless innings vs. Lakeland... Posted a 2-1record with a 1.88 ERA in five May starts... Overall FSL hitters batted only .228 on the season... ALL-STAR APPEARANCE: Was one of five Dunedin Blue Jays to be named to Mid Season All-Star Game... Pitched a scoreless inning striking out the side... BEAR DOWN: Opponents batted .233 with the bases empty, .219 with runners on, and only .178 with runners in scoring position... MOVING QUICKLY: Finished his season with the Fisher Cats, making four appearances, including three starts... Two of three starts were quality starts, while posting wins in his first two games... Once again was tough with runnerson, holding Eastern League hitters to a .143 average... Overall combined to go 9-5 with a 3.20 ERA in 23 games, 21 starts. Did not pitch professionally after being selected in the first round (11th overall)... Attended Blue Jays Instructional Camp. November 2, 2018 RHP Deck McGuire elected free agency. November 2, 2018 Los Angeles Angels sent RHP Deck McGuire outright to Salt Lake Bees. September 5, 2018 Los Angeles Angels recalled RHP Deck McGuire from Salt Lake Bees. August 26, 2018 Los Angeles Angels optioned RHP Deck McGuire to Salt Lake Bees. August 17, 2018 Los Angeles Angels recalled Deck McGuire from Salt Lake Bees. August 6, 2018 Los Angeles Angels optioned RHP Deck McGuire to Salt Lake Bees. August 5, 2018 Los Angeles Angels recalled Deck McGuire from Salt Lake Bees. July 23, 2018 Los Angeles Angels optioned RHP Deck McGuire to Salt Lake Bees. July 11, 2018 Los Angeles Angels recalled Deck McGuire from Salt Lake Bees. July 10, 2018 Los Angeles Angels optioned RHP Deck McGuire to Salt Lake Bees. July 4, 2018 Los Angeles Angels recalled Deck McGuire from Salt Lake Bees. July 3, 2018 Los Angeles Angels optioned RHP Deck McGuire to Salt Lake Bees. June 22, 2018 Deck McGuire roster status changed by Los Angeles Angels. June 19, 2018 Texas Rangers traded RHP Deck McGuire to Los Angeles Angels for Player To Be Named Later. June 18, 2018 Texas Rangers designated RHP Deck McGuire for assignment. June 15, 2018 Texas Rangers claimed RHP Deck McGuire off waivers from Toronto Blue Jays. June 15, 2018 Texas Rangers optioned RHP Deck McGuire to Round Rock Express. June 9, 2018 Toronto Blue Jays designated RHP Deck McGuire for assignment. May 24, 2018 Toronto Blue Jays optioned RHP Deck McGuire to Buffalo Bisons. May 18, 2018 Toronto Blue Jays recalled Deck McGuire from Buffalo Bisons. May 16, 2018 Toronto Blue Jays optioned RHP Deck McGuire to Buffalo Bisons. May 13, 2018 Toronto Blue Jays selected the contract of Deck McGuire from Buffalo Bisons. February 1, 2018 RHP Deck McGuire assigned to Buffalo Bisons. November 20, 2017 Toronto Blue Jays signed free agent RHP Deck McGuire to a minor league contract and invited him to spring training. November 6, 2017 RHP Deck McGuire elected free agency. November 3, 2017 Cincinnati Reds sent RHP Deck McGuire outright to Louisville Bats. September 12, 2017 Cincinnati Reds selected the contract of RHP Deck McGuire from Pensacola Blue Wahoos. April 6, 2017 RHP Deck McGuire assigned to Pensacola Blue Wahoos. April 5, 2017 Cincinnati Reds signed free agent RHP Deck McGuire to a minor league contract. November 7, 2016 RHP Deck McGuire elected free agency. August 11, 2016 RHP Deck McGuire assigned to Memphis Redbirds from Springfield Cardinals. August 3, 2016 RHP Deck McGuire assigned to Springfield Cardinals from Memphis Redbirds. November 29, 2015 RHP Deck McGuire assigned to Memphis Redbirds. November 18, 2015 St. Louis Cardinals signed free agent RHP Deck McGuire to a minor league contract. November 18, 2015 RHP Deck McGuire roster status changed by St. Louis Cardinals. November 7, 2015 RHP Deck McGuire elected free agency. September 1, 2015 RHP Deck McGuire assigned to Oklahoma City Dodgers from Tulsa Drillers. July 17, 2015 RHP Deck McGuire assigned to Tulsa Drillers from Oklahoma City Dodgers. May 24, 2015 RHP Deck McGuire assigned to Oklahoma City Dodgers from Tulsa Drillers. May 20, 2015 Tulsa Drillers placed RHP Deck McGuire on the temporarily inactive list. May 8, 2015 RHP Deck McGuire assigned to Tulsa Drillers from Ogden Raptors. May 4, 2015 RHP Deck McGuire assigned to Ogden Raptors from Tulsa Drillers. April 8, 2015 RHP Deck McGuire assigned to Tulsa Drillers. April 5, 2015 Los Angeles Dodgers signed free agent RHP Deck McGuire to a minor league contract. April 4, 2015 Oakland Athletics released RHP Deck McGuire. March 13, 2015 RHP Deck McGuire assigned to Oakland Athletics. August 31, 2014 Oakland Athletics sent Deck McGuire outright to Sacramento River Cats. August 31, 2014 Oakland Athletics designated RHP Deck McGuire for assignment. July 27, 2014 Deck McGuire roster status changed by Sacramento River Cats. July 25, 2014 Toronto Blue Jays traded RHP Deck McGuire to Oakland Athletics for cash. July 25, 2014 Oakland Athletics optioned RHP Deck McGuire to Sacramento River Cats. July 17, 2014 Toronto Blue Jays designated RHP Deck McGuire for assignment. May 25, 2014 RHP Deck McGuire assigned to Buffalo Bisons from New Hampshire Fisher Cats. March 31, 2014 RHP Deck McGuire assigned to New Hampshire Fisher Cats from Buffalo Bisons. 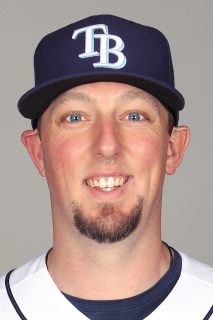 March 10, 2014 Toronto Blue Jays optioned RHP Deck McGuire to Buffalo Bisons. November 20, 2013 Toronto Blue Jays selected the contract of Deck McGuire from New Hampshire Fisher Cats. September 6, 2012 RHP Deck McGuire assigned to Salt River Rafters. January 20, 2012 Toronto Blue Jays invited non-roster RHP Deck McGuire to spring training. September 5, 2011 Deck McGuire roster status changed by New Hampshire Fisher Cats. August 13, 2011 New Hampshire Fisher Cats placed RHP Deck McGuire on the 7-day disabled list retroactive to August 11, 2011. July 26, 2011 RHP Deck McGuire assigned to New Hampshire Fisher Cats from Dunedin Blue Jays. April 6, 2011 Deck McGuire assigned to Dunedin Blue Jays. January 7, 2011 Toronto Blue Jays invited non-roster RHP Deck McGuire to spring training. August 16, 2010 Toronto Blue Jays signed RHP Deck McGuire.